Kathryn and Alden, lumipad na papuntang Hong Kong! It's the start of something new! 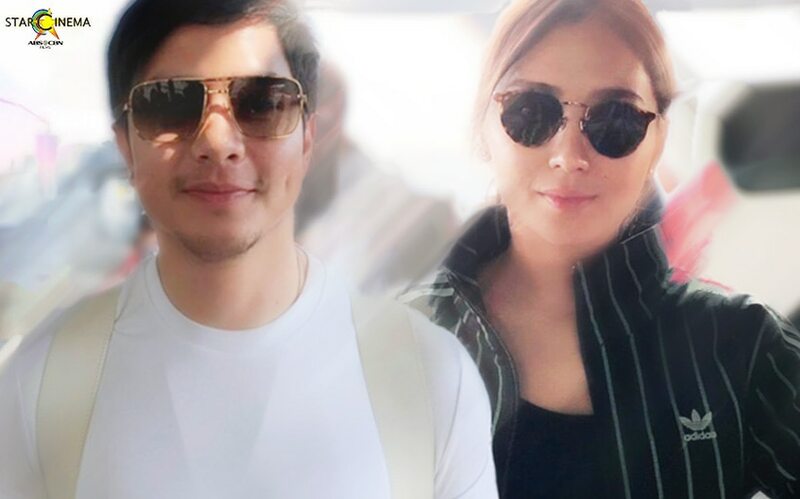 Kathryn Bernardo and Alden Richards have flown to Hong Kong to shoot in location for their upcoming romance film under blockbuster director Cathy Garcia-Molina. The pair was spotted at the airport early this morning, April 8. Speaking to ABS-CBN News' MJ Felipe recently, Kathryn revealed that she's looking forward to quite an eventful summer as she will be spending a month in Hong Kong with the production. She said, "Nakuha ko na 'yung final script and sobrang challenging niya kasi hindi lang siya basta-basta." Kathryn mentioned that she'll be staying in Hongkong for a month. "Ngayon pa lang nagkaka-sepanx na kami (ni Daniel). Pero sabi niya bibisitahin niya ako dun. He's very supportive." She also thanked KathNiels &Alden's fans for their support since the day the project was revealed. Kathryn and Alden's upcoming project was announced back in March 12. It is slated for release sometime this year, so watch out for more updates! This new film marks Kathryn's second film outside her love team with Daniel Padilla. The first was the family drama "Three Words to Forever." KathNiel's last hit "The Hows of Us", also directed by Direk Cathy, broke sales records all over the world. ‘Eerie’ rakes in P102M in the box office! GirlTrend Sammie Rimando has a shoutout to her ex!